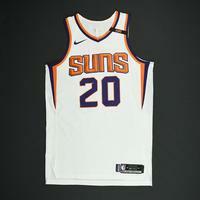 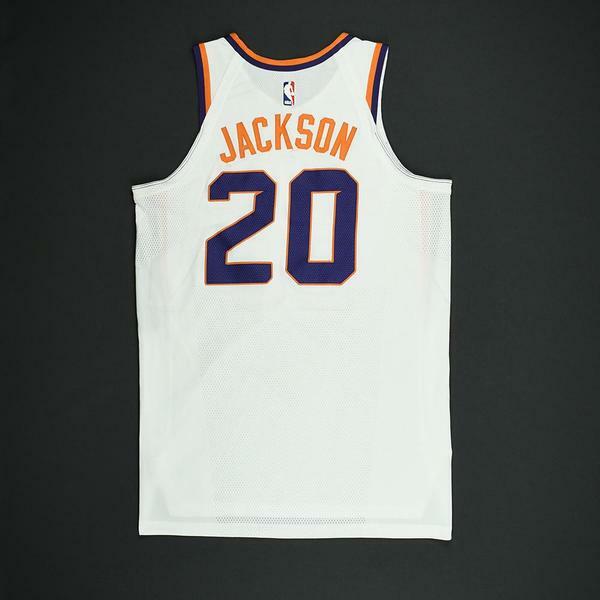 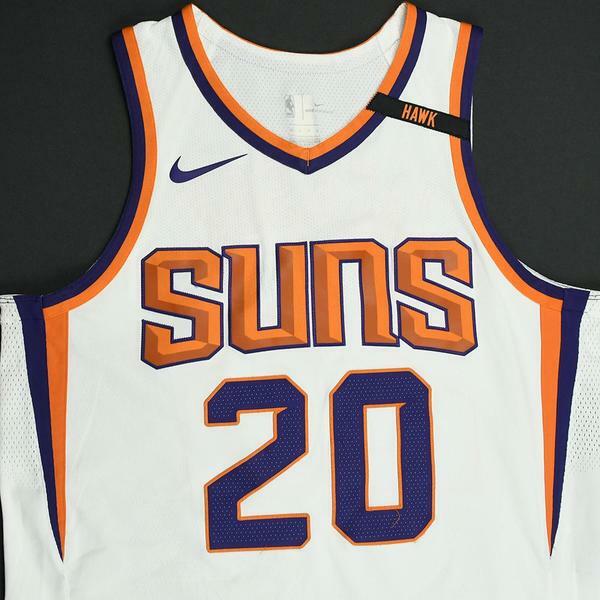 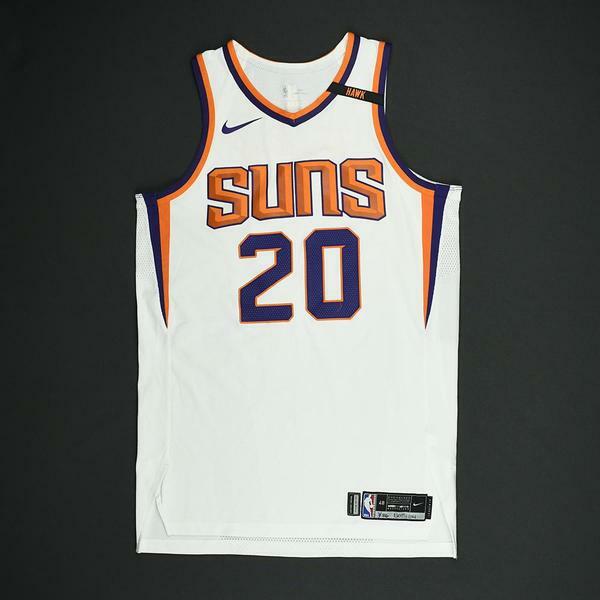 Jackson wore this jersey during the Suns' 105-99 loss to the Orlando Magic on March 24, 2018 at Amway Center in Orlando, FL and also the Suns' 102-94 loss to the Boston Celtics on March 26, 2018 at Talking Stick Resort Arena in Phoenix, AZ. 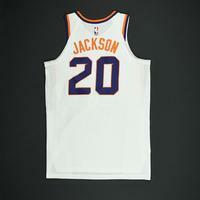 He played 40 minutes and registered 18 points with 5 assists, 2 rebounds and 3 steals on March 24. 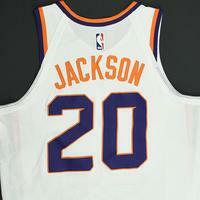 He played 39 minutes and registered 23 points with 2 assists, 6 rebounds and 2 steals on March 26. 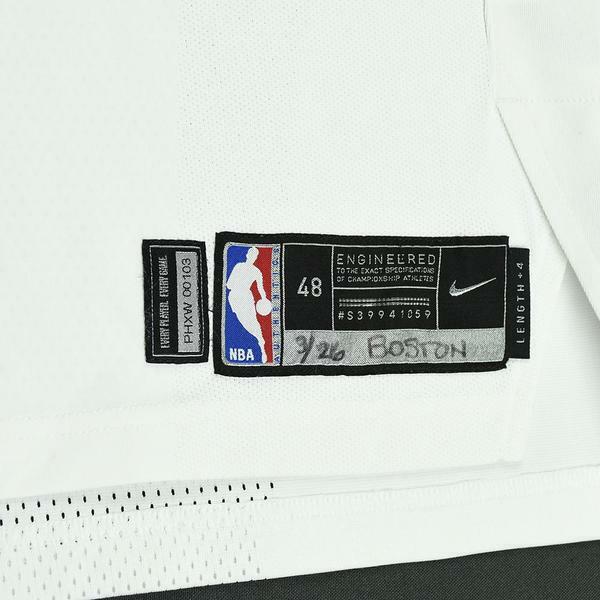 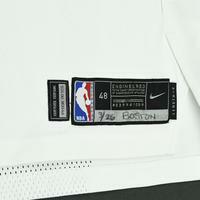 "3/26 BOSTON" has been handwritten on the jock tag.